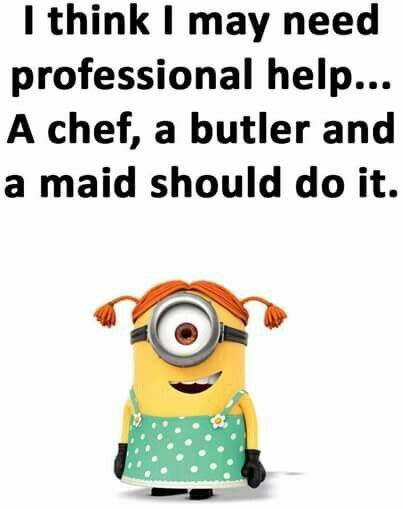 I could really use the maid right about now. Oh, and the gardener. A gardener would sure be useful, too, now that you mention it. Hmm. I could use these, a landscaper, a personal trainer…. It is cute. And the yellow people are the Minions from the Despicable Me movies.